I'm back with another post featuring a bridal trial. Word of mouth is the best form of advertising. I've really become involved in the Southeast Asian Bridal circuit because when I do one bride, she'll often refer me to her huge network of family and friends. Today's bride actually flew in from Connecticut and I only had about an hour to work with her. I usually prefer a longer trial to try out different looks but we were still able to make it happen. To see what we came up with, click here! I requested that the bride bring in a few pictures for inspiration. All of the makeup was actually pretty natural, especially for a Southeast Asian bride. She really wanted to look like herself but enhanced. The look we came up with works more on evening out her skin tone and playing up her features. It's important to ask your clients what they want but it's also helpful to find out what they don't want. 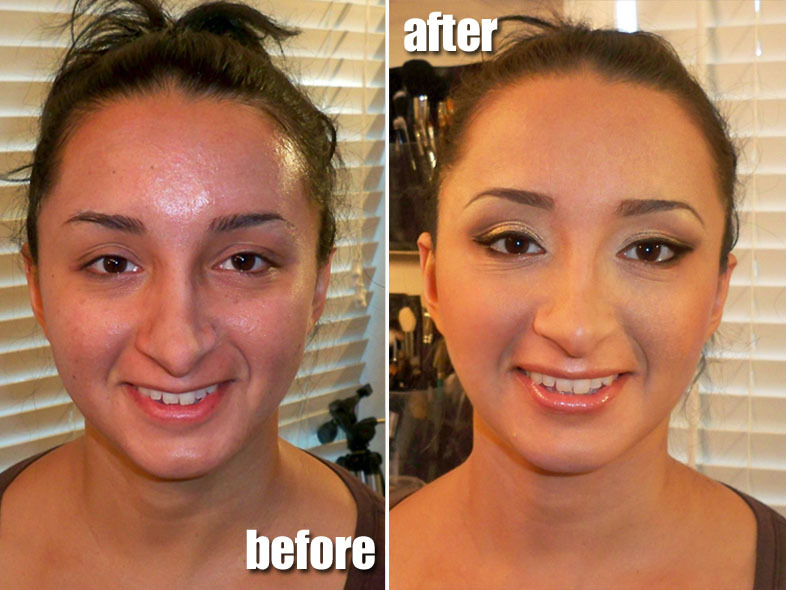 The client definitely did not want the typical heavy makeup look and this helped us do the trial in under an hour. The bride's wedding will be next month. I'll make sure and take pictures! shes looks really pretty nice work love the wasy her AFTER skin looks!! it looks awesome! What a difference good foundation does! she looks fab! I'm sure she's very happy!!! good job! she looks really pretty! She looks gorgeous thanks for the review . Nice! Woodwinked had always been one of my favorite colors! I love the gold and it looks like it goes on your skin so smoothly. I would love to get this color. Amazing! She looks very beautiful. Thanks for good work.